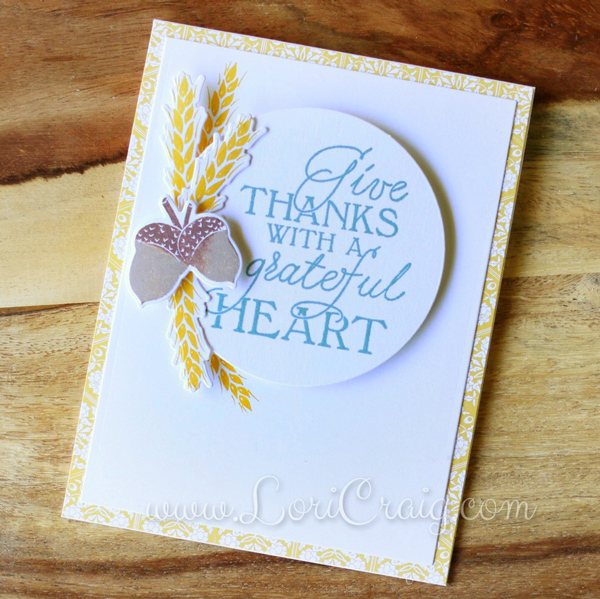 Today I am sharing one of my last few cards for the SCS Falliday Fest! This was for Lydia’s challenge to create Melted Snow – watercolor and salt background! 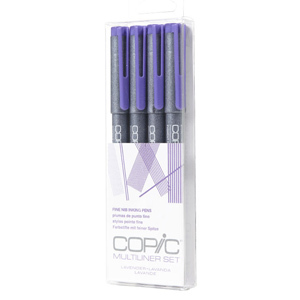 Also showing you a fun new product from Copic, the Lavender Multiliner. How fun! 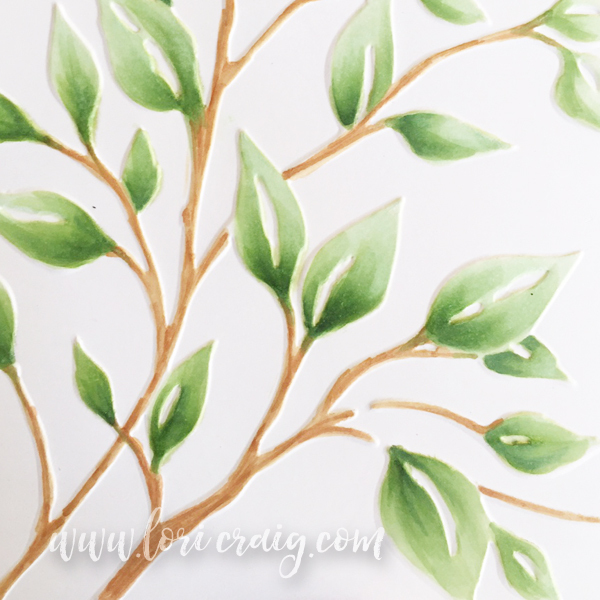 We have had a Salted Backgroung tutorial in the Splitcoaststampers library for years, and trying the technique was an assignment for me in a recent watercolor class that I participated in, as well. Way past time that I tried it! It was easy, and I love how it turned out! I used Winsor Newton Cotman Watercolors – Purple Lake and Manganese Blue. I painted both on watercolor cardstock, leaving a bit of excess water on the surface and then sprinkled liberally with coarse sea salt. Allow the cardstock to dry and the salt will absorb and shift the color around on your paper. You can use a heat tool to speed this process up, but I’m a fan of allowing for natural dry time when I can! I had been so wrapped up in the technique, I decided to follow Lydia’s inspiration and go the Christmas ornament route. I cut my bulbs from a retired die set from Taylored Expressions. I “hung” my ornaments with string I drew in with a new Lavender Copic Multiliner. They arrived a few weeks ago, and I love the rich purple color. As you would expect with a Multiliner, the ink from these pens will hold tight with Copic and water when they are dry on the paper. Here, I’ve just dropped a few lines of string in to hold my ornaments. You could totally free-hand the lines of the ornaments, but here, I wanted crisp, straight lines for the string, so I’ve used a small clear ruler from Aristo. I keep two of these in my stash. Love that I can tuck them into a pencil pouch and that they are clear to see my work underneath. The Lavender Multiliners for drawing, sketching and coloring over are available in four tip sizes: 0.03, 0.05, 0.1, 0.3, & 0.5mm. Pen sizes are embossed on the caps for durability. Available as single pen purchases and in this set of four. 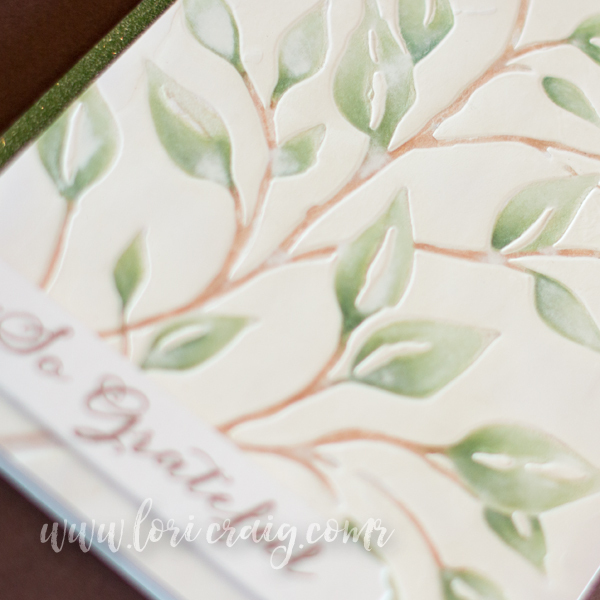 I wanted texture to my white layer, and I also did not want to add a sentiment tag. 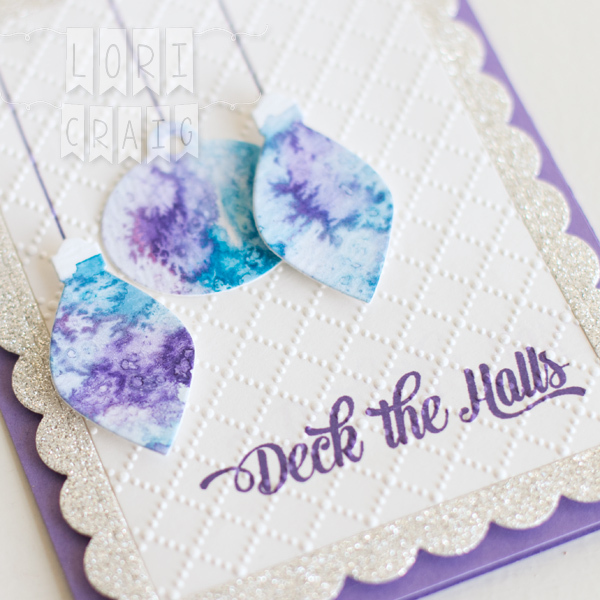 So, the Deck the Halls sentiment (retired MFT) was stamped in Grape Jelly ink (Taylored Expressions) and then my panel as run through the Big Shot between the Dotted Lattice folder. I love how it embossed right over the top of the sentiment without distorting the words. 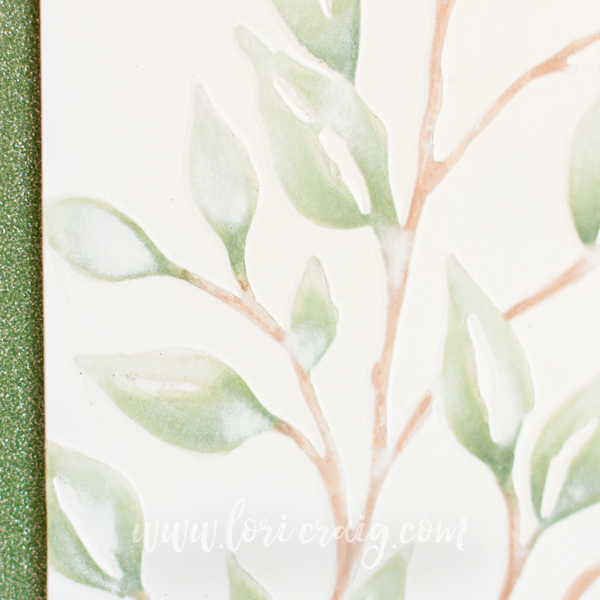 I added the bulbs with XPress It Foam Tape to my white panel.The glittery frame (glitter paper from Stampin’ Up! – a gift from Lydia!) is from the Taylored Expressions die set – Frame in Frame 2. I appreciate you stopping by… I know it’s Halloween, but it will be time to Deck the Halls before you know it! Have a great day! This might be my favorite challenge of the Falliday Fest at Splitcoaststampers from our Artist in Residence, Dina Kowal. 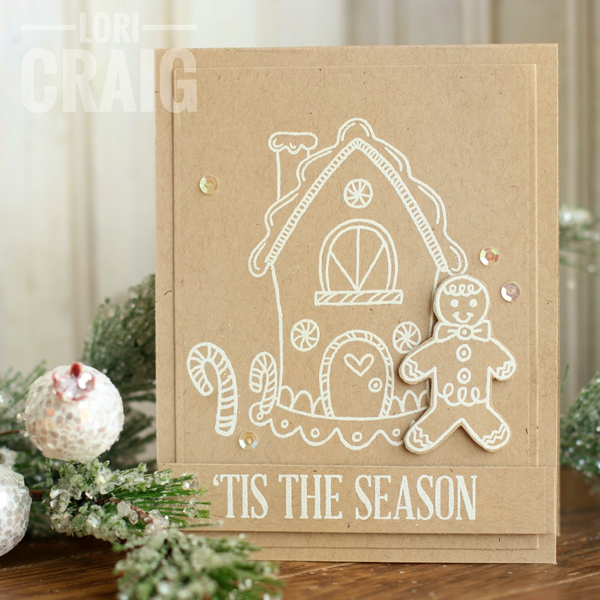 The challenge was to make a gingerbread themed card using kraft cardstock and white embossing! 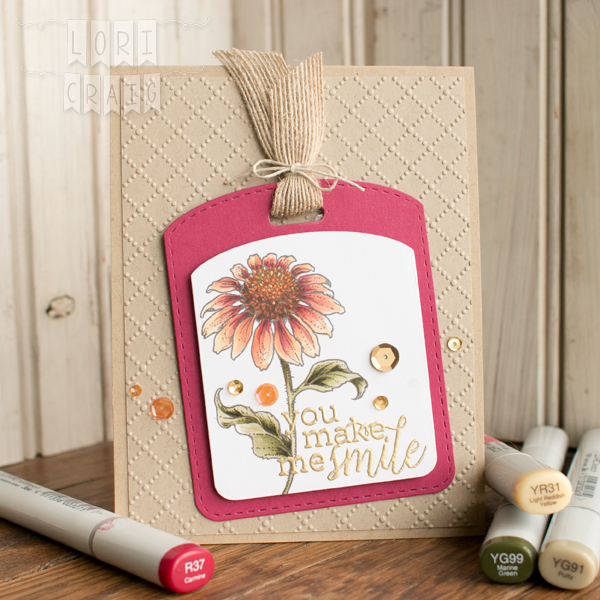 This stamp set is called Sweet Christmas – Sunny Day Doodle line from MFT. I’m sure it’s retired, and I can’t part with it, though I can’t remember using it before. I love how this turned out! Easily duplicatable with a MISTI for mass production. Well — thinking about it, I did fussy cut the gingerbread man. Hire a child for that part! 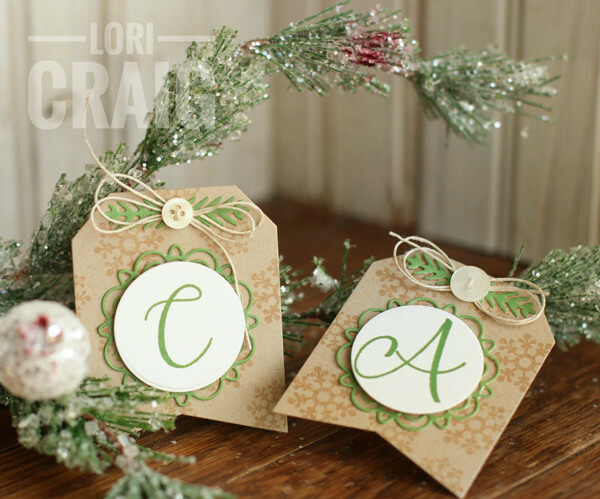 These tags were for Jacqueline’s Falliday Fest challenge – Monogram It! 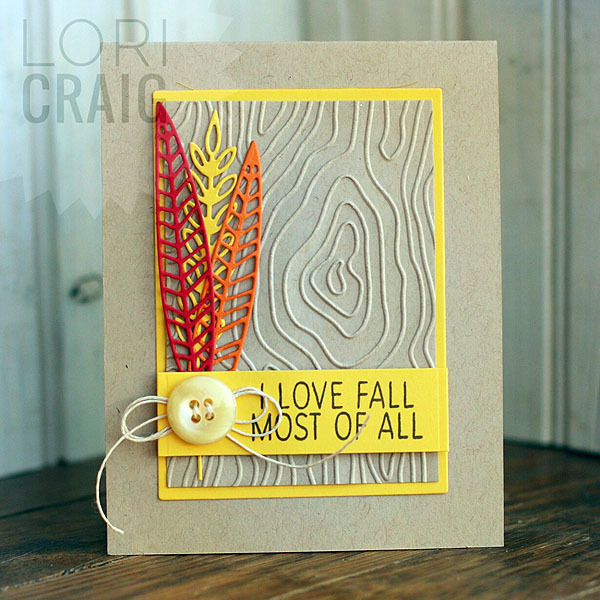 A snowflake stamp and the Flourished Tag Die set from Verve paired up with Sophisticated Script from Concord & 9th made quick work of that challenge! The doily background die is retired from MFT. (I can’t find the packaging and don’t know the name – it is in a set of 4 small doily dies.) I’m going to have the girls help me mass produce these for our family Christmas. Red for the guys and green for girls! I’m off to the final marching band competition of the fall season today! My girl sure loves being on the Color Guard, but I’m looking forward to a few Saturdays at home before the busyness of the holidays hits! I am hosting my second Falliday Fest challenge today at Splitcoast! It’s called Hard Candy Christmas! You can find the details and the backstory here in the forum! My card was made by stamping the snowflakes with clear embossing ink and clear embossing powder. Next I embossed the sentiment (retired CHF sentiment set) with Ranger Princess Gold (I LOVE THIS EMBOSSING POWDER!) Then I sponged cantelope and strawberry colored inks over the white cardstock for a resist on the snowflakes. 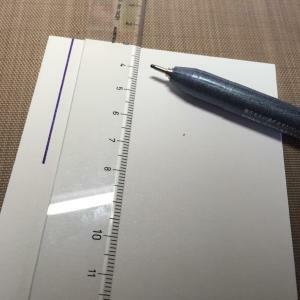 The scalloped notecard is a diecut from Papertrey Ink. There is still a week left to make and share cards in the Splitcoast gallery for the Falliday Fest. We have thousands of dollars of amazing prizes up for grabs, so I hope you find a few minutes to check it out! Have a beautiful Saturday! Get crafty! 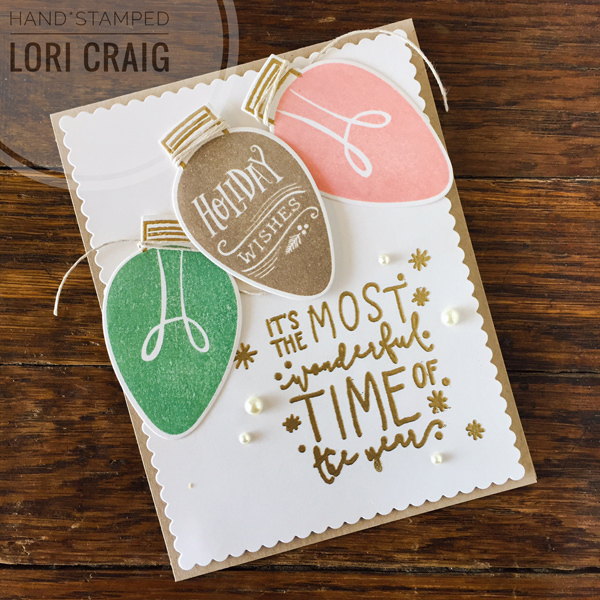 I wanted to share two cards I’ve made for the Falliday Fest at Splitcoaststampers! We’ve partnered with some amazing sponsors for a fun event for October! Still plenty of month left to join us for challenges and inspiration, wonderful card-drive opportunities and prizes! This was a card that I made for Dina Kowal’s Masquerade challenge. This was a new idea to me, and it was so fun…and easy. I’m definitely going to be trying this technique again! 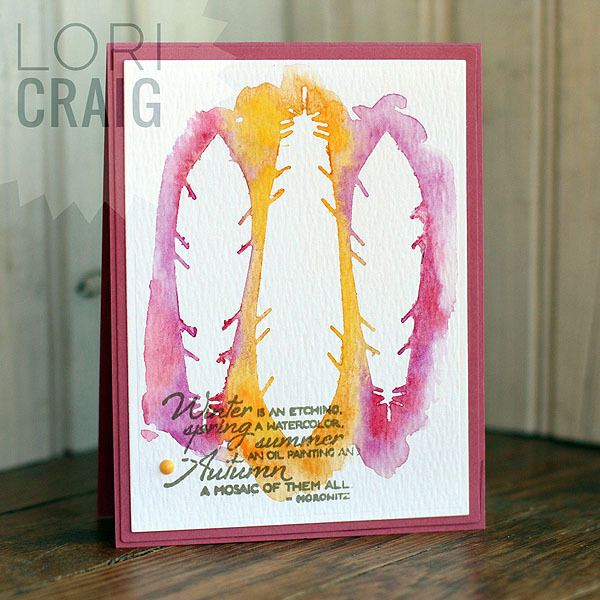 My sentiment came from the Autumn Splendor set from Verve, and the feathers are a die-cut from MFT. This fun card was for Lydia’s challenge, Start Spreading the News! I used the Give Thanks stamp and die set from Concord and 9th for this one. Love the clean look here. I tied to keep it clean and simple. That is something about Lydia’s style that I really admire: clean and classy! 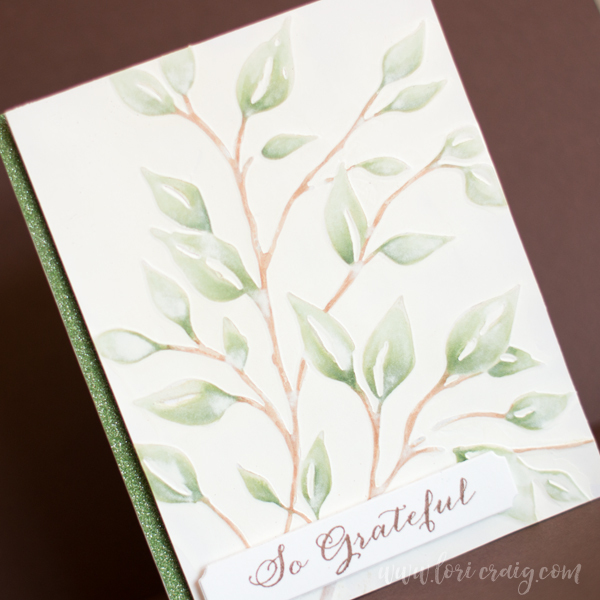 The woodgrain is an embossing folder from Taylored Expressions. I’m off to a marching band competition this weekend, but plenty of cards to share in the next few days! Hope you squeeze some crafty into your weekend! Thanks for stopping by! I am just home from an amazing crafty weekend where I had the opportunity to create a LOT of cards for the Falliday Fest at Splitcoast! I’ll be sharing over the next few days, but I couldn’t wait to share this one for Teresa Kline’s AWESOME challenge for today. I hope you find time to join us for Falliday Fest – we have some amazing sponsors and great gifts up for grabs! Still plenty of time to create and win this month! This was created with Merry & Bright bulbs from Reverse Confetti. I *LOVE* their style of these word/image stamps. (I see several in my near future!) I paired it with this awesome sentiment from Avery Elle called Comfort & Joy. The sentiment and the bulb metal are embossed with Princess Gold Embossing Powder from Ranger. 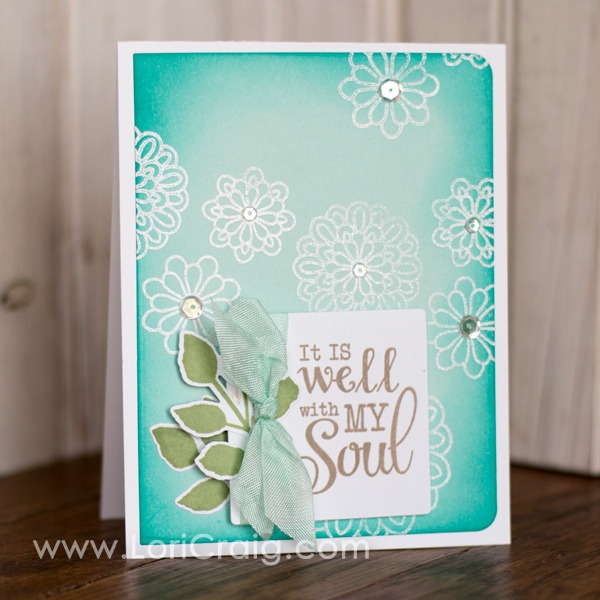 The ink colors are Mint, Crumb Cake and Blushing Bride from Stampin’ Up. 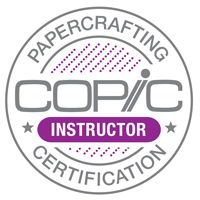 Paper is Curious Iridescent Shimmery White and Kraft. 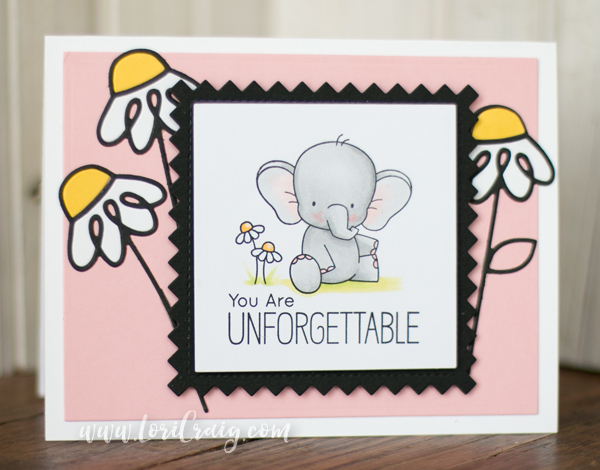 Scalloped Layer die is from Mama Elephant. 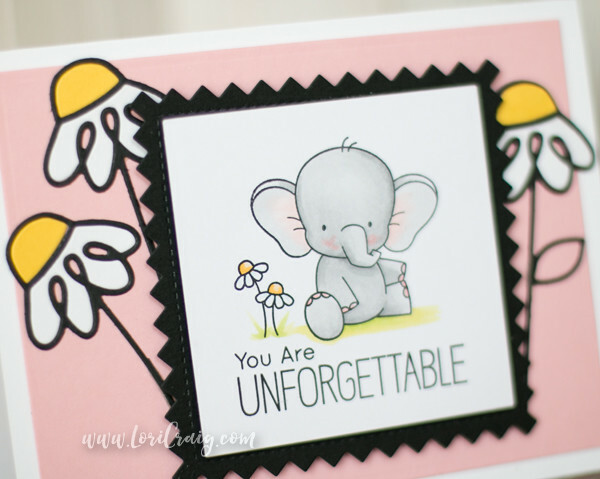 For the last six years October has been my favorite crafty month because our Splitcoaststampers community has come together for crafting fun in a large special event with challenges, prizes and crafty chit chat. This October, the name of the event and the focus have shifted, but I can’t be more excited. Welcome to Falliday Fest! Falliday Fest includes great tutorials with some really cute projects, daily challenges designed to get you thinking about your holiday crafting – creating a plan and getting started, a special holiday gift guide and lots of fabulous prizes from some amazing sponsors! You really do not want to miss out! 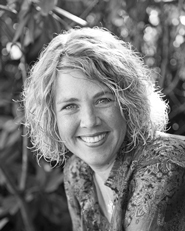 This is for my first challenge that I’m hosting today … May your joy…. This set is called Grateful Heart from Papertrey Ink. I’ve used a clean layout and stamped on Shimmery White cardstock for a little punch. I’ve also kept it fairly flat so that it’s easy to mail. So, be sure to check out my challenge – and all of the others. We have 10 days of crafty goodness ready to go. Your November self will sing your praises when you do! 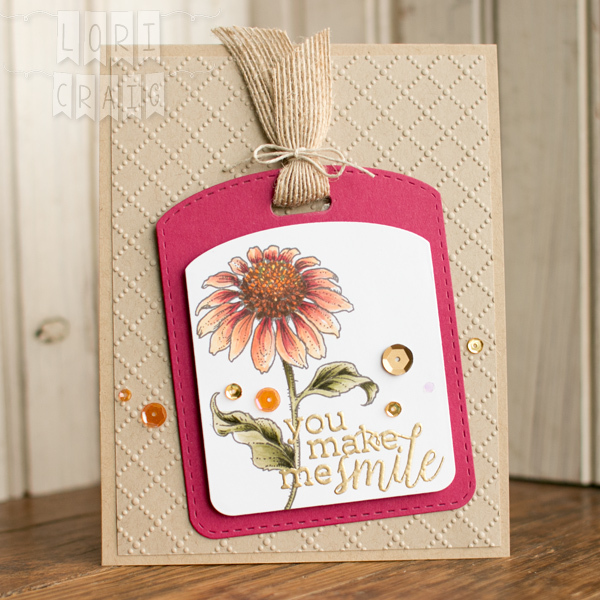 We’ve just hit stride with mid-week challenges at Splitcoaststampers, so there is plenty of time for you to join us! Lots of prizes from AWESOME sponsors! 🙂 You do have to be a Splitcoast Fan Club member to see the challenges and be eligible for prizes. Click here for the details on how to join the club. Click here for the Dare to Get Dirty Chat Thread fun. I am organizing watercolor supplies today in anticipation of a new class I’m taking with the awesome Michelle Wooderson soon. I’m really looking forward to building on the things I learned in last winter’s watercolor class that I took! Anyone want to join me? It’s my favorite card making week of the year! 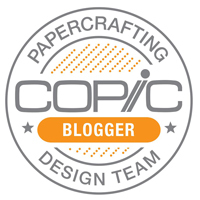 A week that we celebrate the Fan Club at Splitcoaststampers with a lot of fun challenges and PRIZES from amazing sponsors! YAY! I created this card by sponging Peacock Feathers ink from Ranger onto a white card stock and embossing flowers over the top. 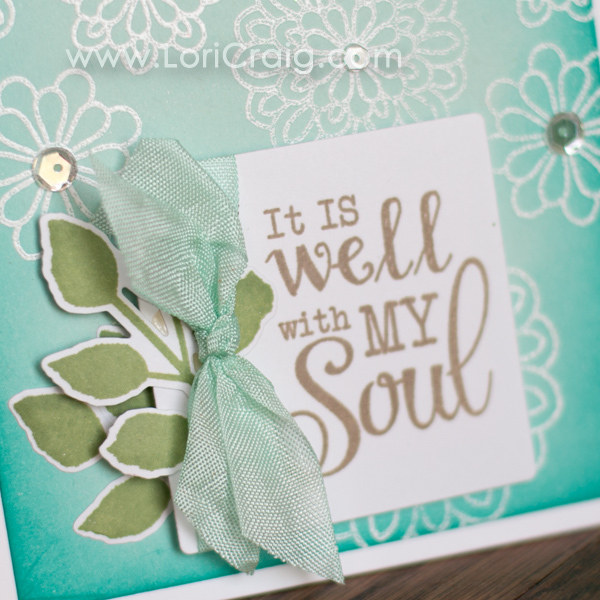 The images and sentiment are all from a beautiful Verve set called Surely Goodness (which is onsale right now 30% off!). I added Shine Bright sequins (Verve) and some dyed ribbon (seam binding with BG11 Various Ink refill to dye). The Dare to Get Dirty challenges run July 30 through August 6th, with 5 or more challenge each day to celebrate our awesome FAN CLUB. So many Dirty Girls providing inspiration for an amazing week! Click here for the Dare to Get Dirty Chat Thread. You must be a Fan Club member to join in the Dare to Get Dirty challenges. Click here for the details on how to join the club. I hope you have time to play along and win some fun prizes!